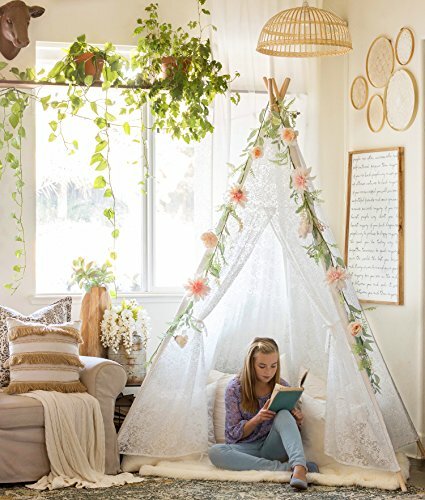 Looking for fun and girly glamping party ideas for tween and teen girls? 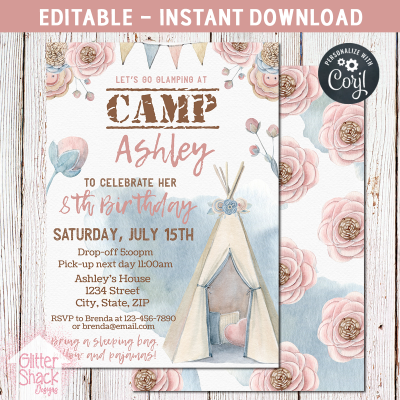 Here you will find a cute selection of Glamping Party Invitations and Glamping Party Supplies for putting together the perfect glamping sleepover party for girls. Glamping sleepover parties are a popular birthday party theme for girls and can be hosted indoors or outdoors. 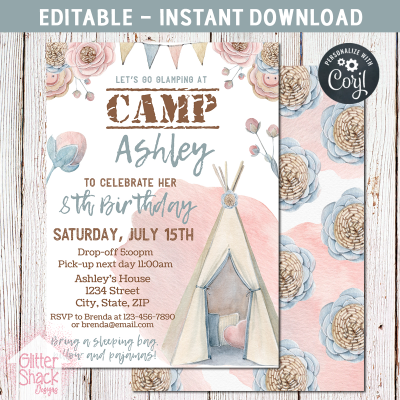 These EDITABLE & PRINTABLE glamping party invitations are designed by me and are available in my Etsy shop. The invites are available to edit and print immediately after your payment has finished processing. Edit from home INSTANTLY using your phone or PC! No waiting for proofs! Edit with a phone, tablet or PC. No software or apps to download. Edit directly in your browser. You will never be asked to purchase or upgrade to use! 100% free to use with purchase of invitation file. Fonts are embedded. No installing fonts necessary. MOST text is editable. Graphics and backgrounds are NOT editable. Change the size and color of the text (PC only). Move the text around, add more text or delete text. 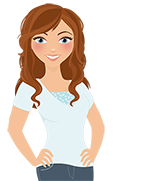 Upload your own images. Great for adding a photo to the backside. Includes BACKSIDE for double-sided printing. Printing backside is optional. Includes optional bleed and trim marks. Save your file, and come back later if needed. Choose between JPEG or PDF file formats. Files are high resolution, 300 dpi. 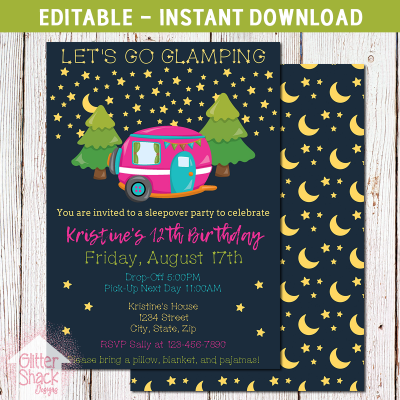 These soft, feminine glamping birthday invitations are perfect for hosting an elegant and girly sleepover party for tweens and teens. The invites feature gorgeous watercolor boho tents and watercolor flowers in soft pinks, blues, and browns. 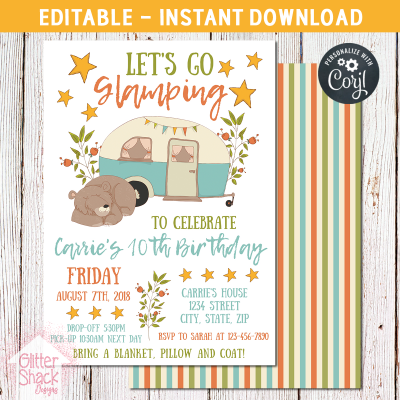 These lovely glamping invitations featuring a retro camper and adorable sleeping bear are perfect for hosting an outdoor glamping party in your camper! Glamping parties are not just for birthday parties! 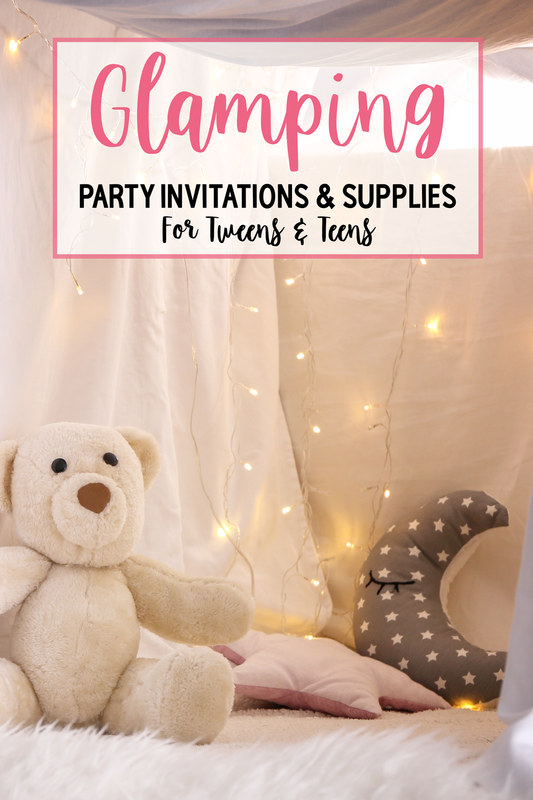 Invite the bff’s over for an end of school party, a back to school party, one last sleepover party before moving away to college, or an end of summer party! Summer is the perfect weather for sleeping under the stars! These glamping party invitations are super cute for hosting an outdoor sleepover party in your backyard. The invites feature a pink retro camper nestled among trees and under the moon and stars. 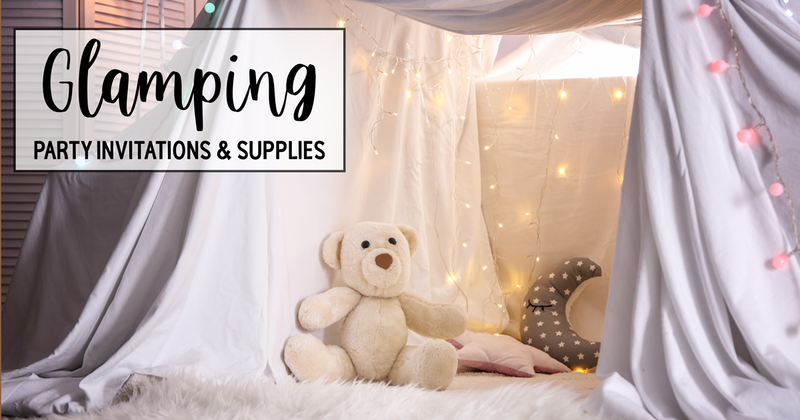 The following glamping party supplies are some cute finds from other Etsy shop owners and the Amazon marketplace that are perfect for adding special touches and little details to your glamping party. Get this cute Glamping Squad SVG cutting file and make your own camp t-shirts or tote bags! Make them ahead of time or have the girls make their own. 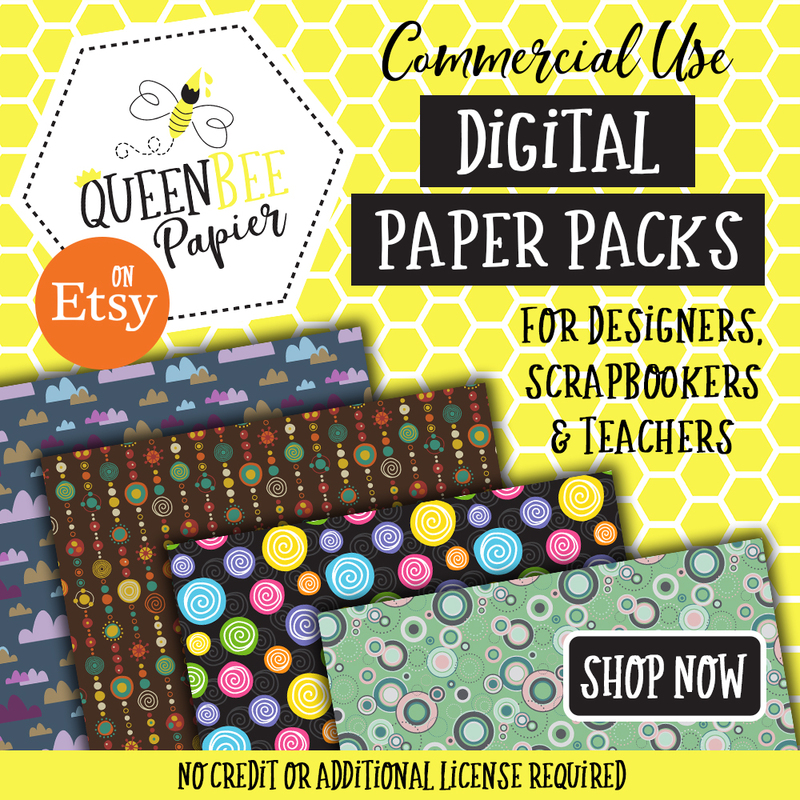 You will need a Cricut, Silhouette, or other cutting machine, vinyl, and blank t-shirts or totes. DIY not your style? 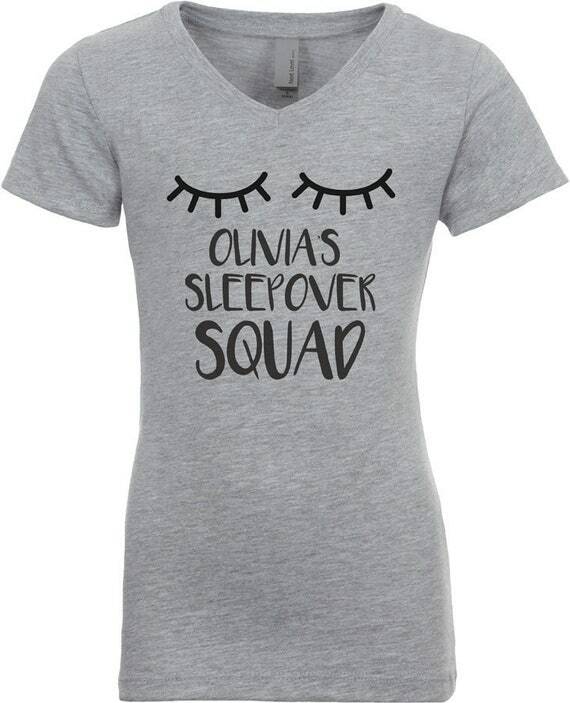 Have these adorable, personalized sleepover squad shirts made just for you! The shirts feature the birthday girl’s name and a pair of sleepy eyes. Available in kids, youth and adult sizes. Totes available too! 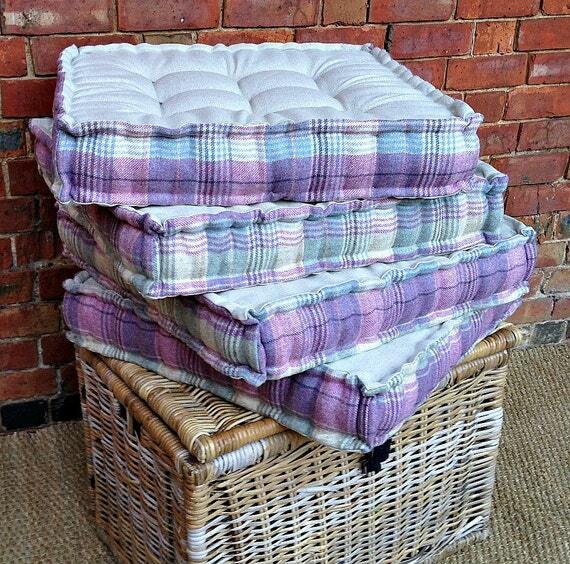 Glamp in style and protect your tushies from the hard ground and rocks with these gorgeous glamping pillows. They are custom made to order and come in sets of 4. After the party, they are perfect for lounging at the beach, outdoor concerts, and picnics. For outdoor glamping parties, bonfire and s’mores themed goodies make great party decorations and favors too! These sweet and girly S’mores Kits make delicious party favors for the girls to take home. Each kit includes a marshmallow with a cute tent image, a square of chocolate, and 4 graham crackers. Yummy! Set the mood with these gorgeous Boho string lights! Put them in jars, lanterns or add them to centerpieces for a magical, twinkling effect. The string lights include batteries and come in your choice of 4 wire colors. Available in 1 meter or 2 meter lengths. 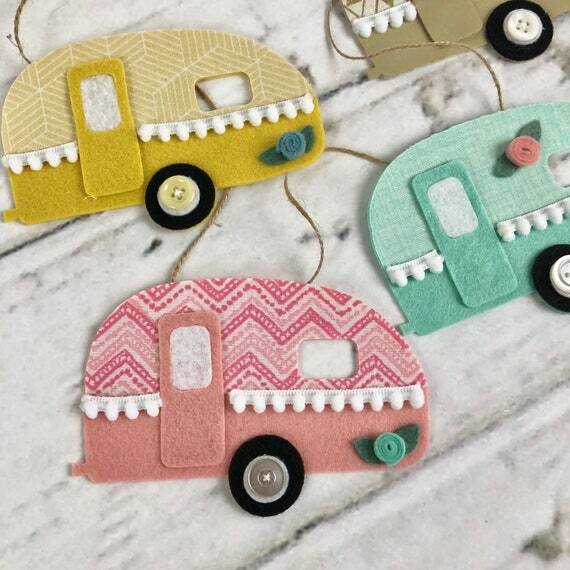 This absolutely darling, handmade retro mini camper party banner adds an extra special touch to a glamping party, and it makes a sweet keepsake for the birthday girl to keep. Includes 5 felted campers, strung together with twine. 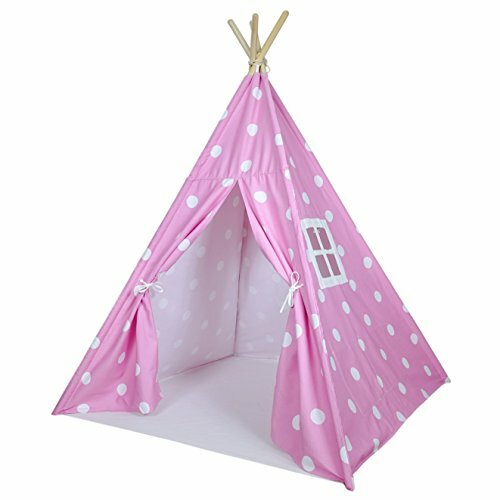 Kids teepee play tents make the cutest sleeping compartments for a girls glamping sleepover party. There is just something so enchanting about having a personal little nook to play or sleep in. Sprinkle an extra touch of magic by adding string lights to the teepees!. 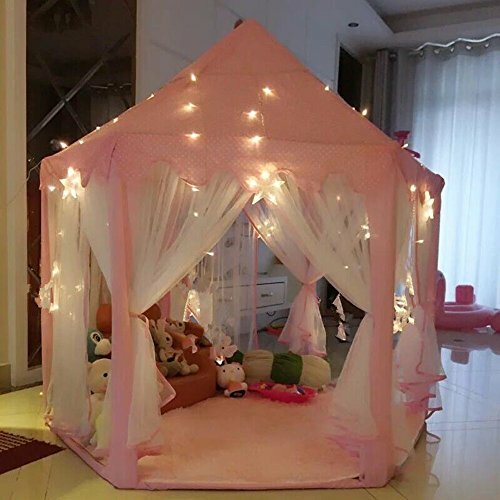 Providing a teepee tent to all party guests to sleep in is obviously not feasible for everyone, so instead, this large kids glamping tent makes a fun and cute hangout during the party. The girls could even sleep in a circle with their heads poked in the tent. How fun!! If your family likes to sleep outdoors or hosts a lot of outdoor parties, consider investing in a luxury glamping tent. Glamping girls don’t camp, they glamp! Provide a soft and cozy place to lounge and sleep with cute pillow loungers. 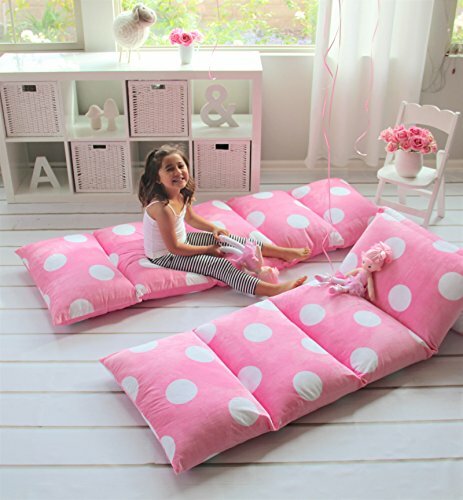 These cute lounger covers are perfect for sleepovers – just fill with your own pillows. Pillows NOT included. 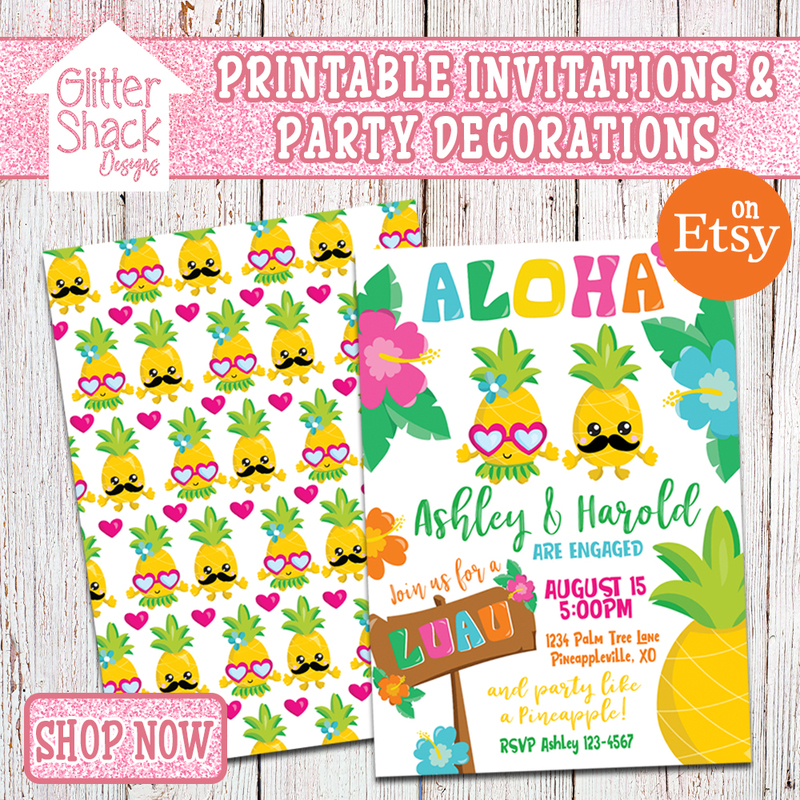 I hope you found these glamping party invitations and glamping party supplies gave you some inspiration for your glamping party! Happy glamping! !